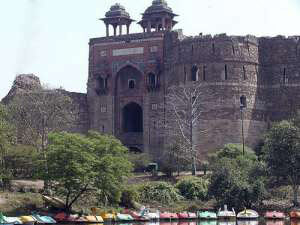 Delhi is known as one of the oldest cities in the world, with estimations of it being over 5,000 years old. Delhi's official ascendance to becoming India's capital did not arrive until 1947, when India gained independence from Britain. However, even under British India (since 1911) Delhi was still spearheading the country because the British Government decided that India would be best managed from Delhi due to its central location and historical importance. Yet, from 1577 to 1911, Delhi was not given such capital status since Calcutta was the capital during this period. Nevertheless, Delhi's status as a historically rich city stems from the 12th century onwards when it became the central setting of many Muslim Dynasties. For this reason, Old Delhi, built by Shah Jahan in the 17th century, is said to be the only one of seven ancient cities that still exists since the Muslims first arrived. New Delhi, on the other hand, was outlined by the British architect Edwin Lutyen (who is considered one of the greatest British architects of all time) during the 19th century.